In this article, Georgie Bull discusses walking poles and how to choose the right pole for the job you have in mind. With such a broad range of hiking poles on the market, how to select the best type and what to look for is really useful information. Walking poles definitely make walking easier. Any age walker should think poles are great, if only because they will save your knees. However, like boots, there are a few things to consider if you want your poles experience to be a happy one. You need the right pole for the job. There are purpose built poles and general use poles, heavy poles and light poles, sprung poles and non-sprung poles. Go along to a reputable outdoor store, tell an expert salesperson what you want the pole to do, that you want a pole suitable for your body weight, and that you would like to see their entire range. Before you look at price, consider the weight of the pole, its weight bearing capacity, what the handle is made of, the shock absorbing spring system or lack of, the grips and the tips. There is a considerable price gap between the cheapest, starting point poles and high end, expensive carbon poles. Cheaper poles are usually made of aluminium, so they might feel heavy at around 250g per pole. Dearer poles are usually made of light, high tech materials. If you are light and like to walk fast, an ultra-light carbon Pacer pole might be the go. Pacers are biomechanically designed to encourage more upright walking, their unique hand grips do away with heavy shock absorbing springs, and the special end grips are designed to push you along on the flat. Heavier or older walkers might fancy a pole that will help them safely balance and brake down slippery inclines – say something like the Leki SLS pole, which claims a holding force of 140kg. If you walk in hilly, soggy, wet country like the Overland Track, a pole with a range of shock absorbing settings that can be easily adjusted from none to huge could be handy. On the soft, slippery mud tracks, the firm setting is great for bracing against trees and rocks, while the highly shock absorbing setting is handy on downhill rocky slopes to act as a brake and for extra balance. Grips and tips is a fascinating topic, and one a good outdoor sales person will relish. Most poles come with either a carbide or stainless steel tip and interchangeable baskets. Find out what each is best for and make sure the pole you fancy has the tip you need. Handles, wristbands and grips come in a mystifyingly huge range of materials and shapes, from the extravagant to the simple, synthetics and natural corks. Some have extensive ergonomic claims and others offer just finger slots. Take a firm grip of every handle on offer to feel what fits best and feels comfortable, then get the salesperson to explain the features of that and all the others. If you like the handle, make sure the wrist straps are comfortable and sit at the correct angle to your wrists. Ask the salesperson to go through it all with you. How many poles could you handle. I use one, to leave me a spare hand if I need to steady myself, but experienced walkers say get used to walking with two, as two are more than twice as good as one. Some poles are designed to double up as camera tripods, so if you are a foto fanatic, you might like to narrow your search down to poles with this handy option. Black Diamond – a range of ladies’ and men’s poles. The Contour Elliptic Shock 4 season hiking pole is spruiked as the “latest evolution of our technical workhorse contour range”, priced at around $160. Their ergonomic cork hiking pole $130. GMA Carbon Hiking Pole – made from 100% carbon, so very light, and the 3 twist lock extends the pole from 70cm to 135cm. With an adjustable padded wrist loop, carbide tip and rubber handle, they cost about $90 each. Jacko – Dyno – not your ‘run of the mill walking stick’, made from aerospace alloys with Sur-lock quick adjust system and stainless flex tip. Sounds like a bargain at only $70 pair! Komperdell – a big range of anti-shock poles, priced from $60 up. The Contour Titanal Antishock Trekking pole is a single unit that compacts into itself, has a tungsten carbide flex tip, weighs 245g and costs up to $100 pair. Leki poles – German quality without compromise – but looking for a Leki might be a bit confusing, as there are 32 types of poles to choose from. Check out the Sierra Photo height-adjustable aluminium pole, weighing in at under 300gms. The handle screws off to expose a universal thread which your camera can be screwed on to – so you can snap away without an extended arm in sight! Pacer – anatomically correct, ergonomic 4Ns for posture, movement, shaping and balance – these biomechanically designed poles are around $250 a pair. Good luck with that! Next week we will look at how to use poles correctly, and the latest European craze, Nordic Walking, a fantastic way for you to get and keep fit. Do you use walking poles? One or two? If you use walking poles, what do you see as the advantages or disadvantages? Shoot us a comment below if you have something to say! Whoops forgot the best part. The poles are super strong and weight only 4 ounces per pole. Just thought I’d weigh in with my thoughts on walking poles. I find that the ones with the internal screwing / twist-lock mechanism inevitably wear out or jam after a while. I’m pretty sure many people will have the experience of not being able to tighten their poles. It gets incredibly annoying when it happens during a multi-day walk. I much prefer my current set, a pair of Black Diamonds, with external flick locks. So much easier to maintain, and I can simply tighten the mechanism on the outside with a screw driver should it ever loosen. I us Black Diamond with the external flick locks! Love em. They (sorry it, I only use one) work really well and I much prefer that mechanism. I almost never use poles – though I admit they’d come in handy at times. I’ll borrow poles to get me over a stream crossing but mostly I don’t like having something in my hands. I suspect I’m unusual in that regard. Go on Frank, give two poles a go! You always come up with great ideas. I have seen the Stick pic thingy before. Don’t own one, do you? They look fantastic. Sue uses two (Leki’s) and loves them! Nice waterfalls up there Greenie. Great way to hold the camera. Have one on the way from Rod to review which is very nice of him. That was my first attempt. Need to practice the technique to keep the pole out of site in the video. Shugemery uses his to great effect http://www.youtube.com/user/shugemery. 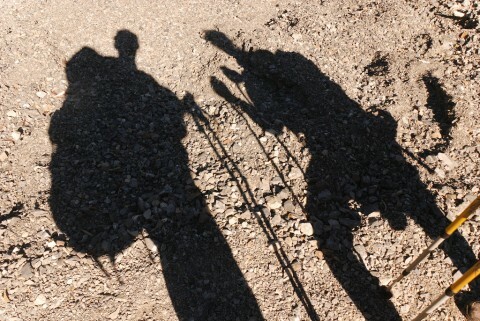 Great article on trekking poles. I’m the kooky inventor of the StickPic. Really I am. Thanks to Greenie, I will hook you and Sue up. Really I can. The wonders of Google Alerts I reckon…. Welcome to our site and g’day from Oz. You don’t look too kooky on your website. Great idea you have come up with! I have shot you an email via your site. * Structure deals with hand size, height, weight, etc. * Issues might include balance problems, arthritis in the hand, shoulder trouble, neck pain, etc. * Goals include whether a person wants to hike or walk or exercise as well as preferred terrain. Every person is different. Determining which poles best suit a person can make a huge difference in the quality of the experience and how many benefits a person can achieve. Our approach is simple. We focus exclusively on top quality gear (yes, you get what you pay for) and let the user determine what feels best. Like trying on shoes, we often put one pole in one hand and another model in the other hand, and let the user decide. This instant feedback enables the user to feel, and us to see, how they perform. Learning about gear is an important aspect in mastering the skills necessary to achieve the many benefits of using poles. We hike with LEKI poles that are about 8 years old. They have a lifetime warranty. We take good care of them and they take good care of us! We have posts on our blog on how to set pole length to achieve maximum benefit as well as answering common questions like 2 poles vs 1. 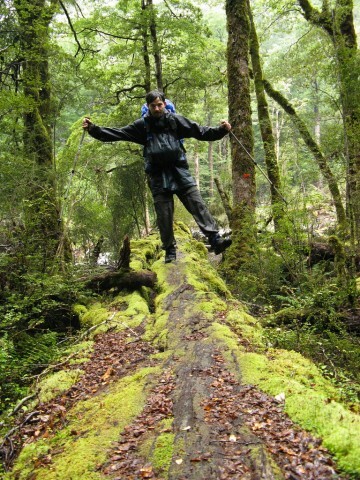 I always carry my nordic walking poles with me on bushwalks. They are carbon and have an angled carbide tip. They are one piece and I use 2 poles to walk. i find it especially useful when going up hills such as Mt Oberon and Mt Bishop at Wilsons Prom. Less stress on the quads going up and less stress on the knees going down. I was not very fit when I was “con” into entering the Run For the Kids 14.4km course. Have to say that without the poles wouldnt have made the finish line in 2.5hrs. Have not used them hiking as yet. Those BD poles are nice. The 15 degree positive angle is sweet. They extend to 140 on the bottom – good for taller people. The other system I really like is LEKI’s SpeedLock system. It’s the easiest and most intuitive system out there. 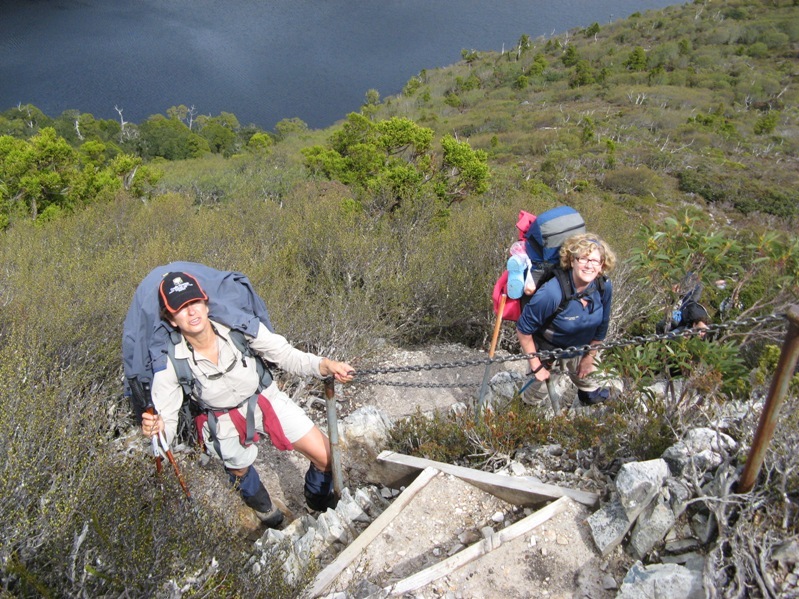 The best information on trekking poles is available on the Australian Helinox web site – http://www.helinox.com.au There are full instructions on how to use trekking poles PROPERLY. They will even send you a trekking pole instruction booklet if you ask. Every bushwalker should get a copy. Thanks for your comment and the link, Noel. I clicked on the link, but I get an Uh-oh message that my home browser is too old to view it. Thanks for your comment on trekking poles on OHB. I am interested in why you wrote PROPERLY in capitals – ie, shouting. If you are saying that my description would lead to poles not being used properly, I would appreciate you giving detail of the inaccuracy in your comment. The articles are intended to assist with safety and enjoyment of bushwalking, so our readers need to know where my instructions were inaccurate. I also note that your email address has wixnmox in the prefix, which is the same as the company you are directing readers to. If you do work for that company, could you disclose this in your comments, to alert readers of your affiliation. These two things are important for credibility – I need to provide accurate information, and you need to disclose if you represent a company who you advise can give our readers PROPER information on how to use equipment. I teach all over the United States at state and national parks as well as REI stores. I make a distinction between optimal and correct. There are some things that are correct – like removing travel tips when you use the poles. Most use is optimal vs proper. Everyone is different. Goals vary. Issues dictate. For instance, someone with Parkinson’s Disease is going to use a different (what we call) Baseline Length than a hiker. Probably. Much more on my blog on how poles can help people of different abilities and inclinations use poles to achieve their goals, whether it be exercise, hard terrain or just plain mobility. Wow, do you have a great job, or what! Thank you for the teriffic comments you have contributed to this conversation. It is great to share our experiences and theory with each other – to add to our safety and enjoyment of this great sport. Your blog site has great information, thank you for sharing it. Great article- I love my Leki poles. Unfortunately I fell on the OT in Dec snow and broke one….so hopefully I can replace the broken part. My wife used ALDI (yes I know…..) brand poles with success but also slipped and fell on a patch of ice on the OT (breaking a bone in her hand) and breaking one of her poles as well! Luckily, neither broken pole punctured either of us as we fell. Overall, we love our poles and it certainly took the pressure off ageing knees, especially with my 112Kg mass, lugging 22Kg pack for the OT! 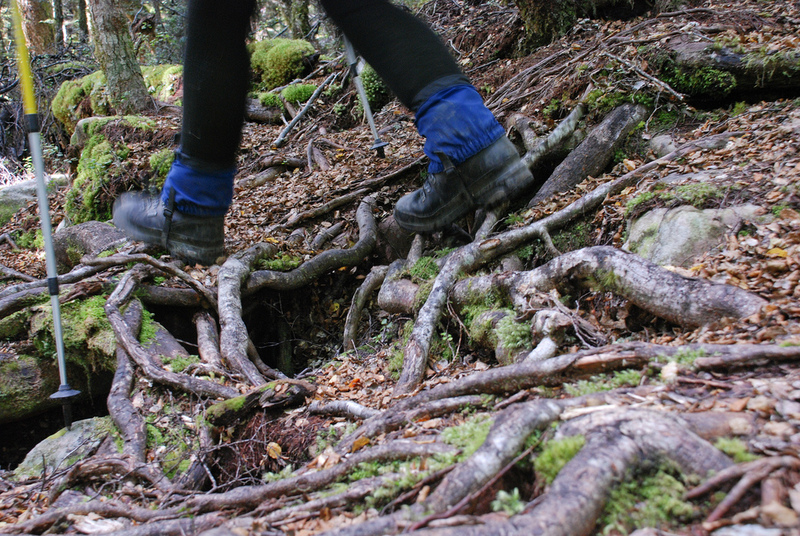 I actually thought that people who use poles for trekking look funny and are a bit crazy, but after I tried them for the first time myself It improved both my stability and overall confidence in my abilities. Back in the days I was really worried that I’ll fall off a cliff or something, but not with the poles. They are wonderful and this guide will do wonders for people that know how to find the brands mentioned in the post. Unfortunately here in Bulgaria most of the brands aren’t really available and we use generic poles. What pole would be best suited for someone with balance issues but who likes to walk safely. Hi Dale, to be honest, any pole would do the job. It often comes down to personal preference and budget! 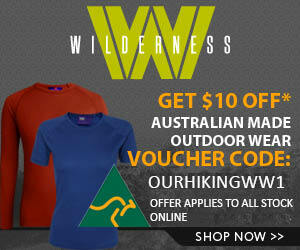 I am going on holidays to Uluru and Kings Canyon in May and am wondering which walking pole would be best?. I am a female in my early 60’s and am 150cm tall weighing approx 58 kilos. I have noticed different handles and quite like the look of a tbar or walking cane style (if that makes sense) but am wondering which style grip is better for this terrain and also normal walking and/or bush walking? Should I be going for aluminium,, what style tip etc. I would also like a pole that folds down. There seems to be so much variety so am at a loss……… How much do I need to spend? I live on the Central Coast in NSW. I have been using the Helinox poles a lot recently and love them! They are light, fold down well and really strong. Recommend the LB series.You can buy them online or over the phone I believe. Just had the opportunity to try out trekking poles for the first time. Plagued by arthritic joint problems and feel this is my way back to becoming active. Need good hand grips (not too narrow) and would mostly be walking on uncluttered trails avoiding rocky areas. At times locally on asphalt. I know, sounds tragic, but I am determined to get active and weight-bearing again and believe these will help. Am around 5ft2ins tall and weigh 81 kgs.